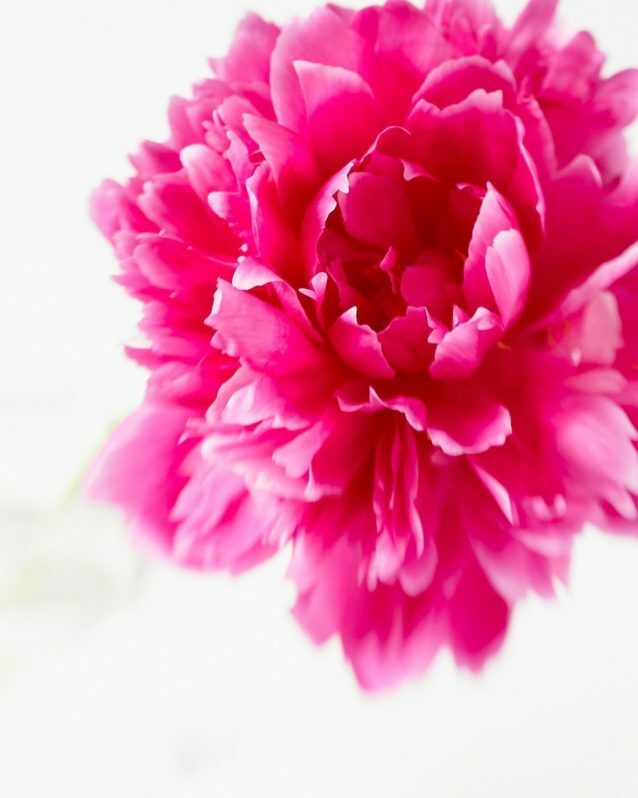 Bright pink peony flower photography in full bloom will surely brighten your space. Perfect for gardeners and flower lovers alike, this piece of oversized art brings the outside in. Early summer at our new home a bush shone bright with big, beautiful magenta peonies. I made this photograph using extremely shallow focus just on the central petals, allowing the rest to fall to a soft blur.